UPSEE 2018 (उत्तर प्रदेश राज्य प्रवेश परीक्षा): The Dr A.P.J Abdul Kalam Technical University organizes the Uttar Pradesh State Entrance Examinations for the students who are seeking admissions in various Undergraduate and postgraduate courses. The aspirants have to submit the UPSEE Application Form 2018 before the due date to appear in the entrance exam successfully. The last date for the submission of the form is in March. The AKTU Admission 2018 will be provided only on the basis of the marks obtained by the students in the entrance exam. The students have to submit the UPSEE Registration 2018 to get eligible for the admissions. The students have to access the official website for the submission of the form. 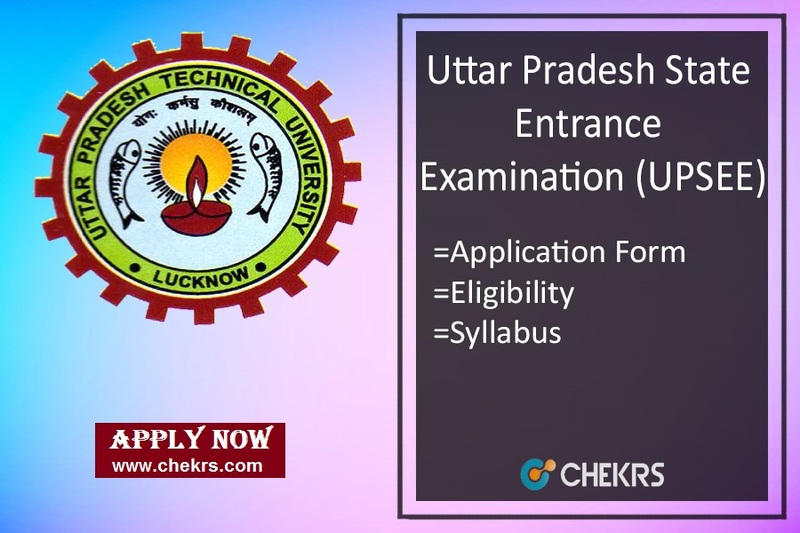 We will provide here the direct link for the UPTU Online Application form submission. They just have to follow some precise procedure for the submission of the online form on the web page of the University and board. Steps to Submit UPSEE Application Form. then they have to open the UPSEE Apply Online link. Now enter your all valid details like name, address, qualification etc. Submit the details and proceed to step two. Attach the scanned copy of documents, signature and the photograph along with the form. Now pay the required application fee by online modes. After this step, submit the form by clicking on the proceed button. Also, take a print of the generated application form for future references. The aspirants are advised to check the UPSEE Eligibility 2018 before applying for the application form. Only eligible students will be able to download the admit card. B.Arch Aspirant must have passed 12th with PCM as Compulsory subjects from any recognized board Must have scored minimum 50% marks in compulsory subjects Aspirant must have completed 17 years of age. B.Pharm Candidate has completed 10+2 with PCB or PCM subjects from any recognized board They must have scored 45% marks (40% for SC/ST) in main subjects Aspirant must have completed 17 years of age. B.Tech Aspirnat appearing/ Passed intermediate from UP board or any recognized board with PCM can apply. B.Tech (Bio-Tech) Passed/ Appearing 12th with PCM or PCB subjects from any recognized board. MBA/ MCA Appearing/ Passed Bachelors degree from any recognized board (for MCA must have maths at interlevel or graduation level) Must have scored minimum 50% marks (45% for SC/ ST) According to the authority norms. The aspirants must note that the UPSEE Syllabus Pdf will be uploaded soon on the official website. The syllabus for each exam will vary according to the course. The aspirants are required to follow the below-given syllabus for their preparations. The syllabus will be according to the Stream of the candidates. Mode of Exam: Paper-1, 2, 3 & 4 will be OMR based and rest are computer-based exams. 500 50 question each of Mathematics & Aesthetic Sensitivity with a total of 100 questions and 2 questions from Drawing Aptitude.